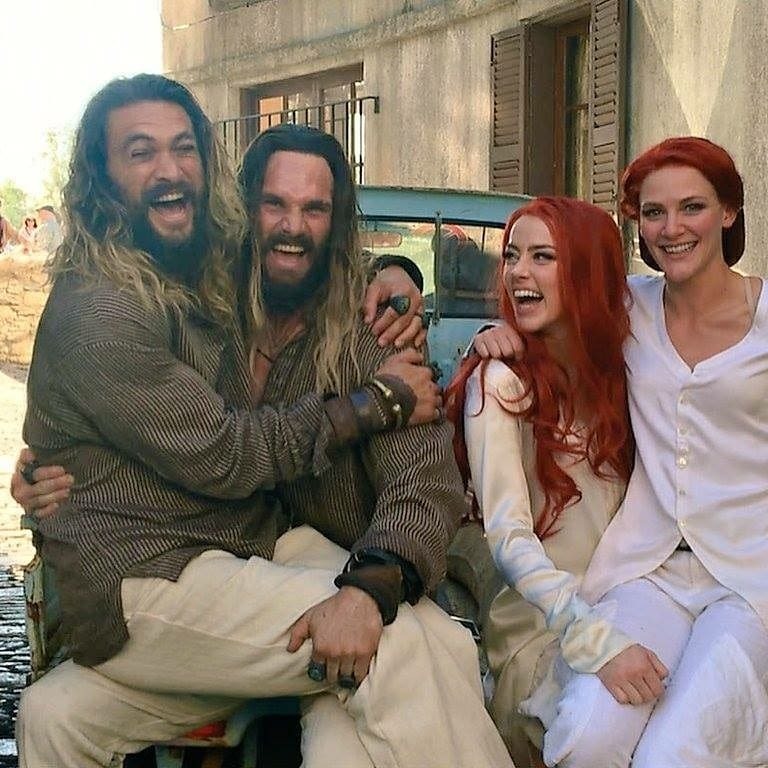 All the actions performed by the actors be it the fighting scenes, jumping from tall buildings and even the dangerous motorcycle rides in the movies are definitely amazing. We all know the secret behind these stunts which are definitely not performed by the actors themselves. 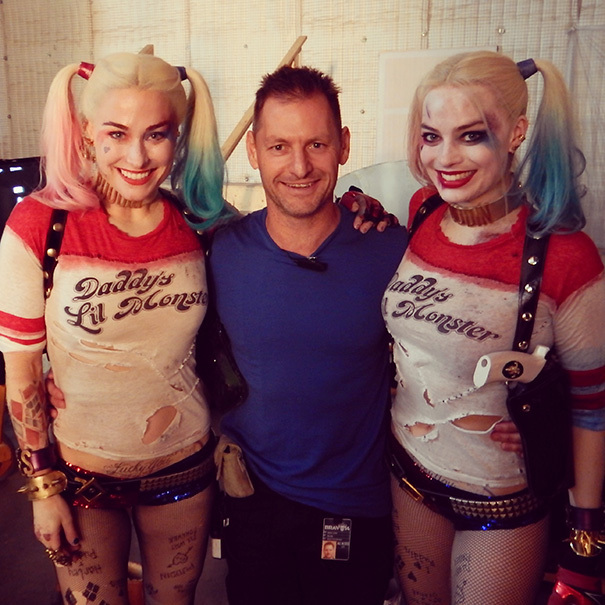 To get those perfect stunts and actions, the directors have a stunt double for every actor to make the stunts appear realistic. 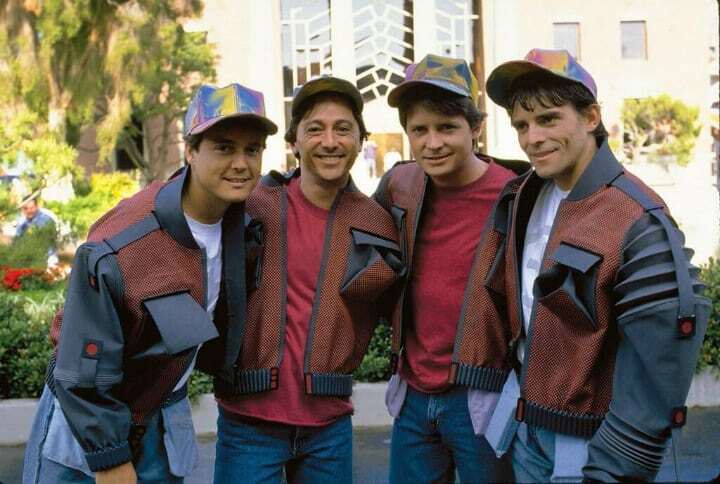 We have no doubt been fooled many a time by the movies and after looking through the images of the actors with their doubles, you will know the reason why. 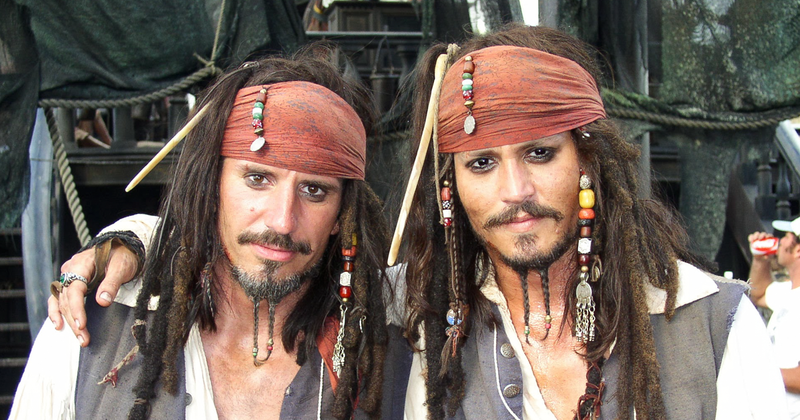 Scroll down below to have a look at the stunt double of some actors who look very similar! 1. 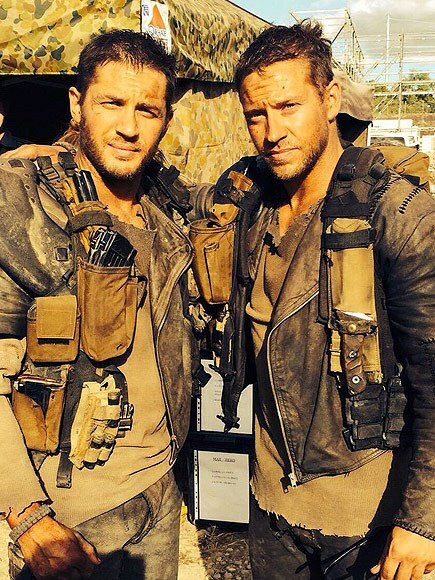 Tom Hardy and his stunt double on the set of “Mad Max: Fury on the Road”. 2. 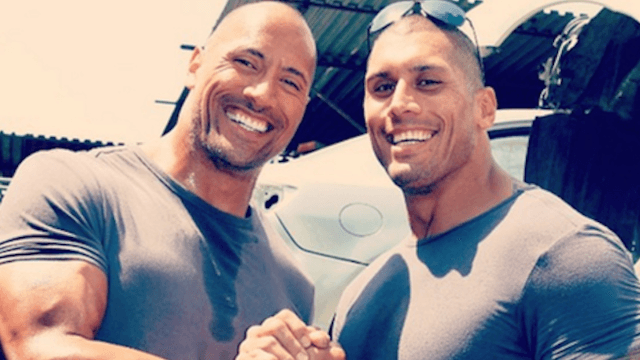 The Rock with his cousin Taori Reed who is also his stunt double. Now we know where that muscle comes from. 3. 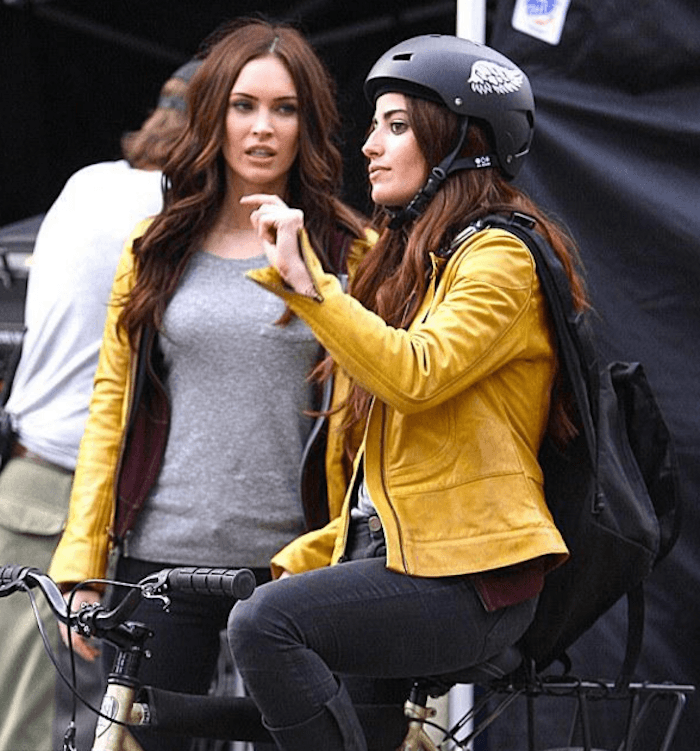 Megan Fox with her stunt double on the set of “The Ninja Turtles”. Maybe the actress does not know how to ride a cycle. 5. 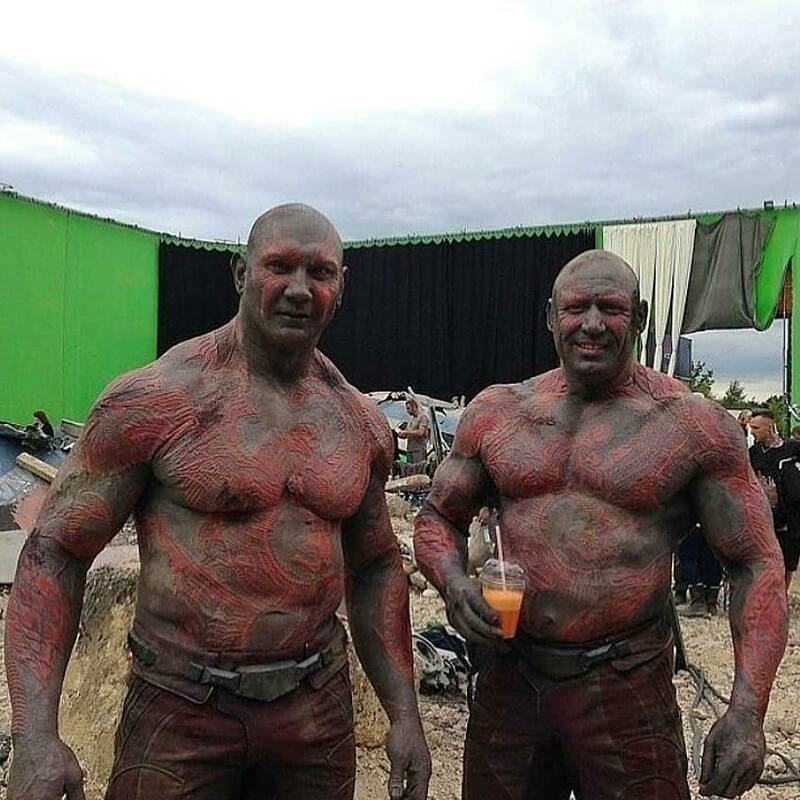 Dave Bautista with his double during the making of the film “Guardians of the galaxy. 7. 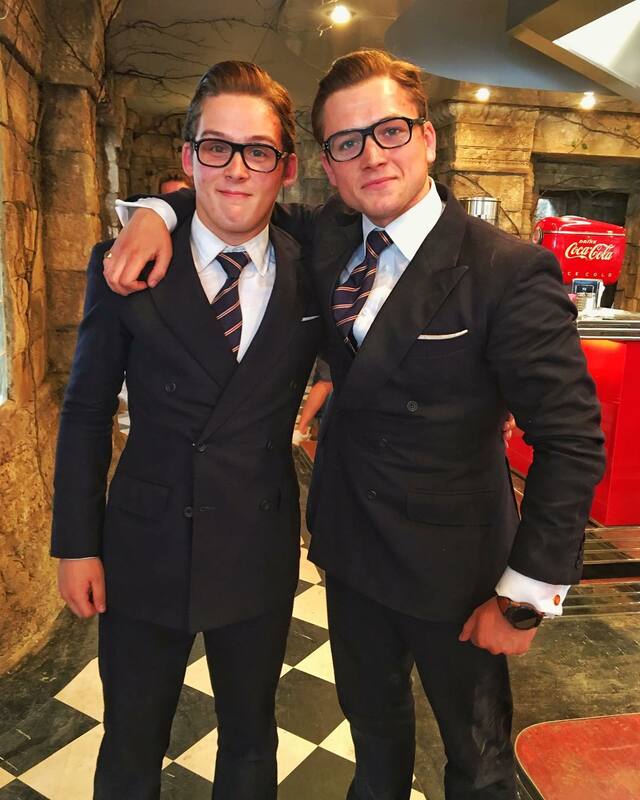 The double of Taron Egerton from the sets of the movie “Kingsman: The Secret Service”. 8. 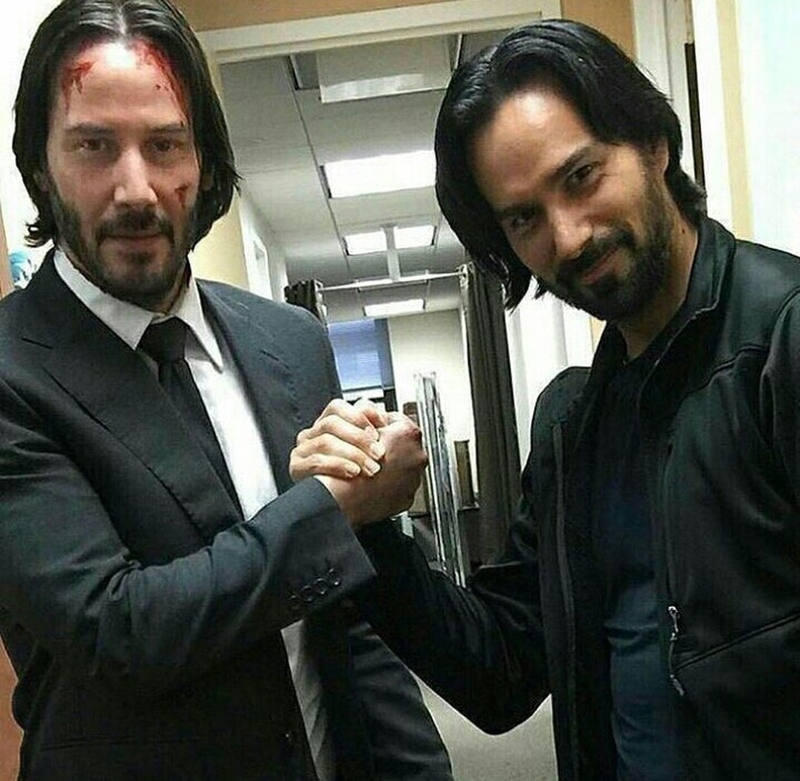 Keanu Reeve’s double during the filming of “John Wick” movies. 10. 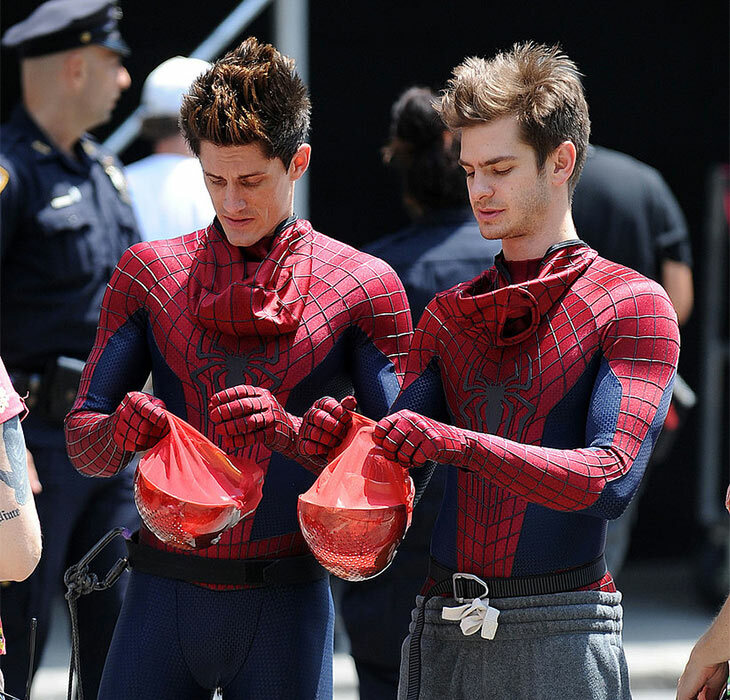 Andrew Garfield and his stunt double before they performed the action scene in the movie “The Amazing Spider-Man 2”. 12. 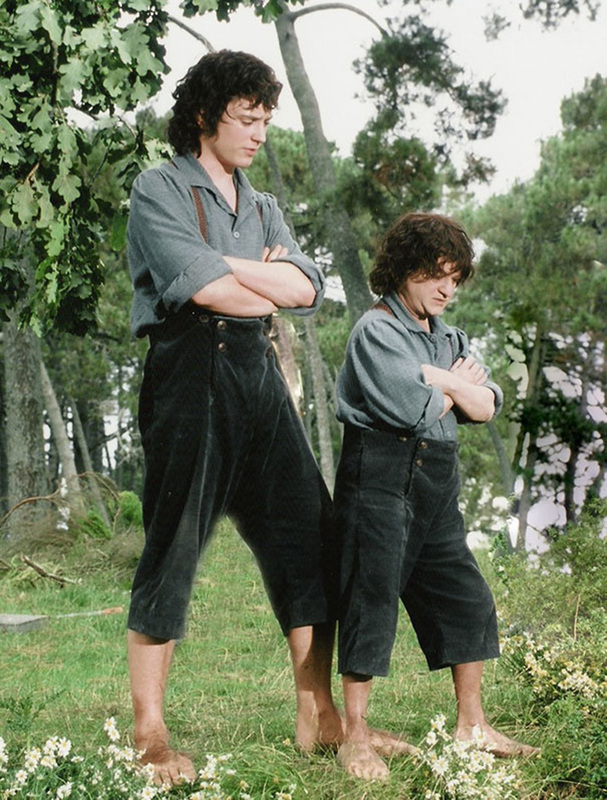 Elijah Wood and his double on the set of the movie “Lord of the Rings”.